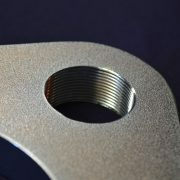 8-1/4″ Standard Yoke With 1-1/2″ 16 Threads. Aft Yoke For Standard Hydraulic Model. 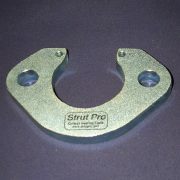 8-1/4″ Standard Yoke With Machined Nut Cage. For Forward Yoke On Manual Model. 10-3/4″ Mega Yoke With 1.055″ Hole. For aft yoke on manual model or forward yoke on hydraulic model. 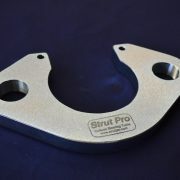 Non-metallic shaft spacers are used with the 3/4″prop shaft and shim the space to 1″. 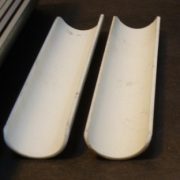 Nests inside 1″ x 1-1/4″ Collets. 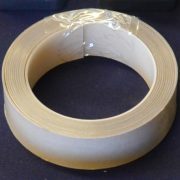 Shim Tape Pressure Sensitive UHMW .030″ thick x 1″ wide x 120″ Long. This adhesive backed non-metallic shim material is perfect for shimming the collets whenever necessary. 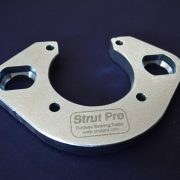 10-3/4″ Mega Yoke With Machined Nut Cage. For Forward Yoke On Manual Model. 8-1/4″ Standard Yoke With 1.055″ Hole. 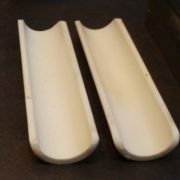 For aft yoke on manual model or forward yoke on hydraulic model. 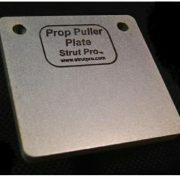 Prop Removal Plate (Fits Mega 10-3/4″ Yoke) 2 & 4 Blade Props. 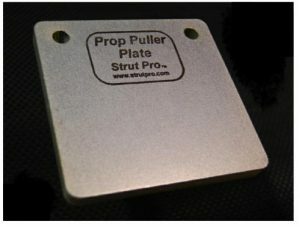 1/2″ T-1 Steel, Tumbled and Zinc Plated.